So nice to meet Laverne in person! 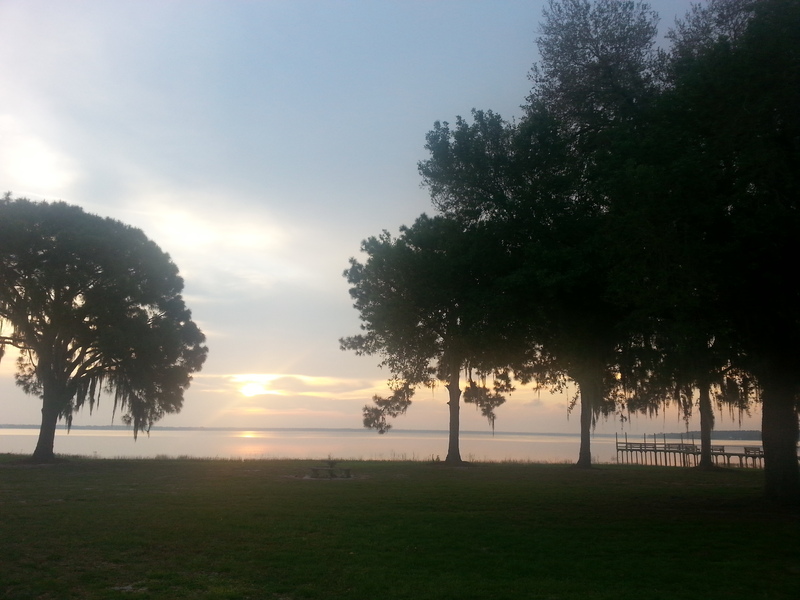 with this view of Lake Yale in Leesburg, FL. Sunrise on beautiful Lake Yale. How lucky am I?! 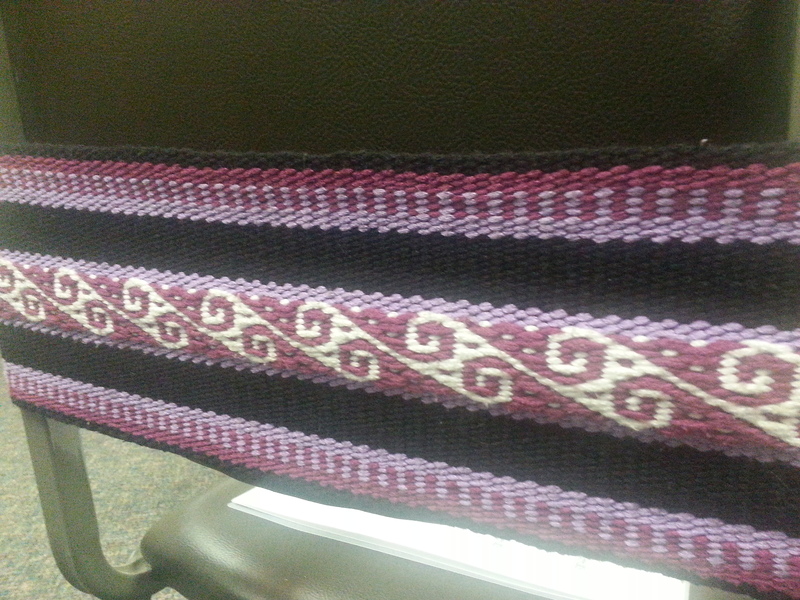 My first backstrap weaving workshop was taught by the delightful Laverne Waddington! What a true treat and pleasure. 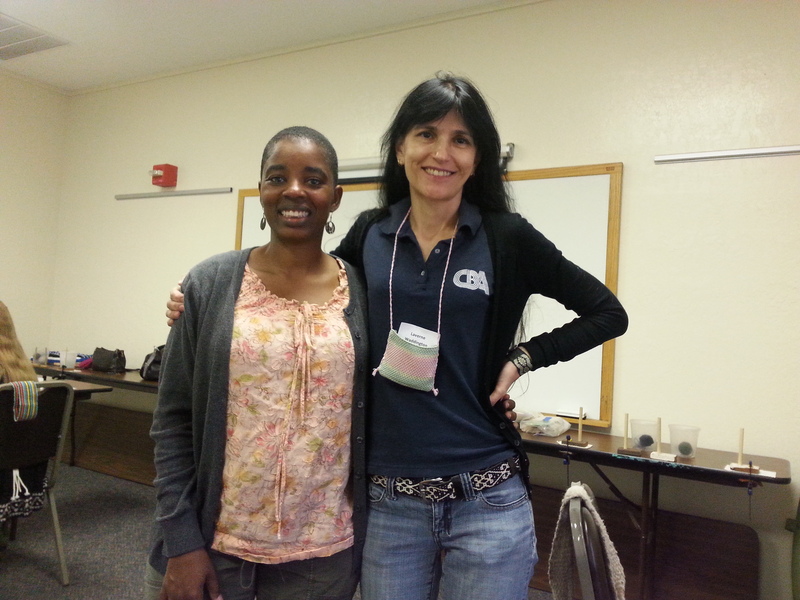 She stopped by the Florida Tropical Weavers Guild Annual Conference to teach a 2 ½ day Andean Pebble Weave class. Meeting Laverne, after knowing her only from the online inkle group on Ravelry, was great! She is so incredibly nice and a skilled and VERY patient teacher! We started with provided, pre-warped backstrap looms, so after a quick demo and introduction we were able to begin weaving! Have you ever taken a workshop from someone who has a lot of knowledge for the subject, but did not convey the “how to” well? None of that here. Laverne is a natural born teacher! The passion she has for backstrap weaving shows and she is a teacher at heart. Each lesson seamlessly built on the previous lesson. 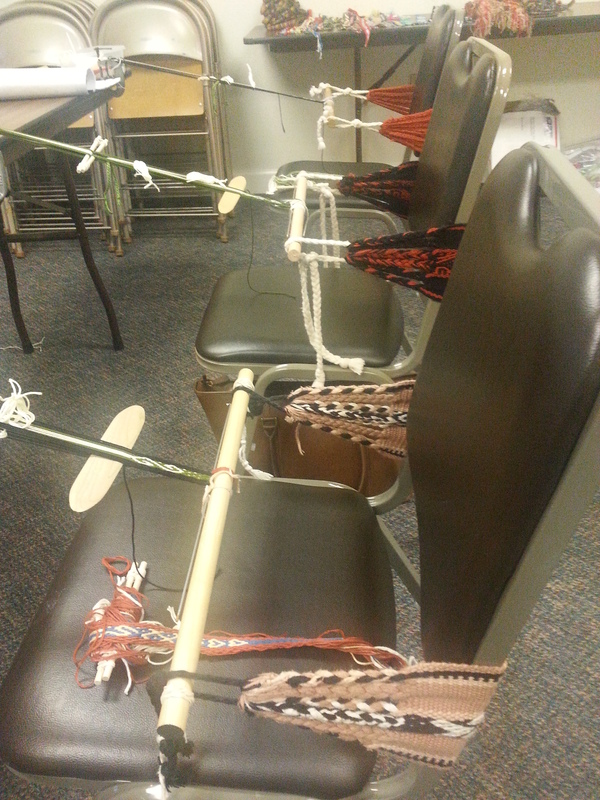 We learned how to wind a warp, make heddles, read and design patterns, and “read the fabric”. The class was well paced, keeping the interest of faster weavers, yet artfully paced as to not lose the slower weavers (uh, yup meaning me!). The backstrap I got to use during class. Having never done any backstrap weaving before, but being an inkle band weaver, I admit that I anticipated I would take to it easily. WRONG! At least I can say, I liked my selvedges and I was familiar with the rhythm of pick-up. Beyond that, am I ever glad that Laverne is such a wonderfully patient teacher, because I think I gave her patience a test! Backstrap weaving for me was like driving in England. Driving a car is something I do every day, but put the car and the steering wheel on the opposite side and I’m a mess! Let’s just say, I touched the curb more than a few times while in the UK – no damages or injuries. 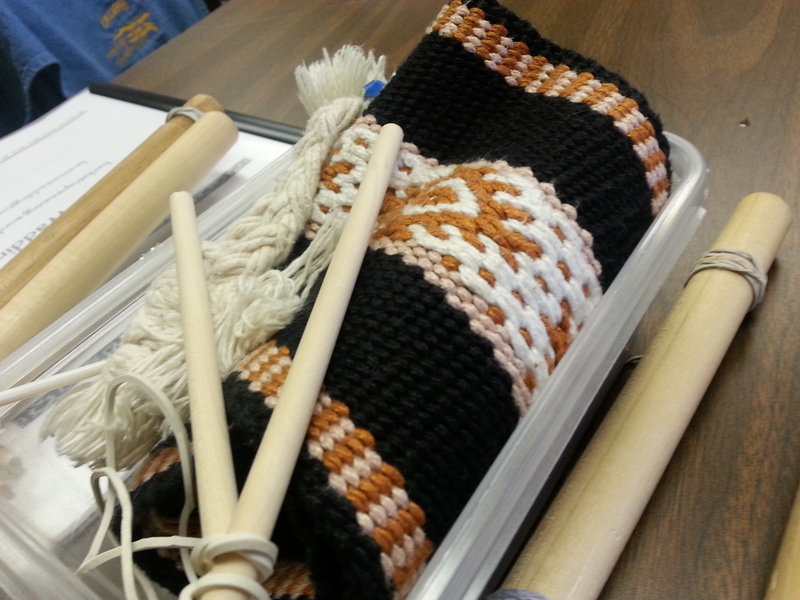 Similarly, I spent as much time unweaving as I did weaving during the class. Fortunately, unlike driving in England, backstrap weaving is something I enjoyed enough to try again! Classroom set for open house night. It was such a creatively fulfilling weekend. Laverne’s workshop taught me so much. If you ever have a chance to take a workshop from this lovely lady, do it! 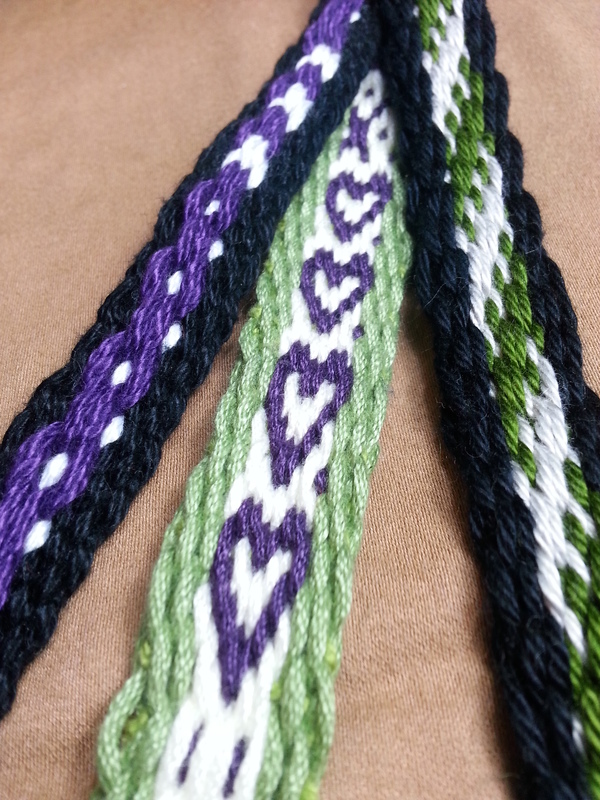 I’m working on an inkle band backstrap so I can finish the bands from class. Spending that much time around so many fiber loving people was so enriching. I’m inspired to do nothing but weave. I’ll be sharing the results soon. One of Laverne’s beautiful Andean Pebble Weave backstrap looms. 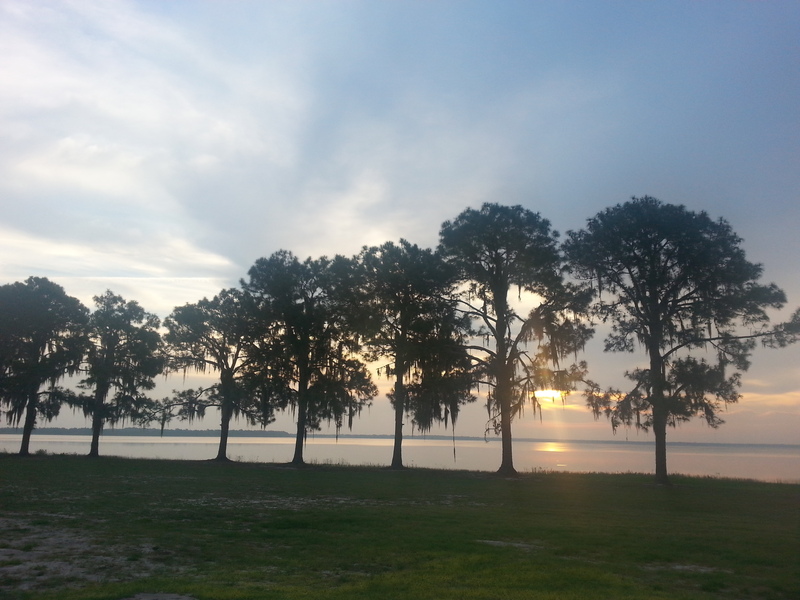 Oh, what a beautiful setting for all the creativity of the weekend! 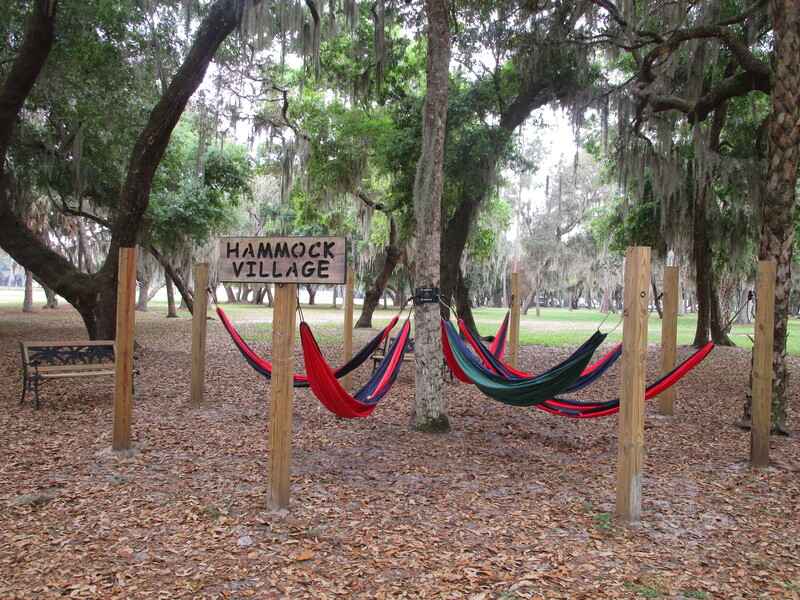 Any place that has a Hammock Village has the right idea. Oh Jennifer! How exciting you were able to take Laverne’s class. You must have met Gwen while in that class! It is great to see a photo of you. I took Laverne’s class two years ago, so I know just what you mean when you describe her. I look forward to seeing all your new work! It was such a treat to be able to take a class with her. And, yes, I did get to meet Gwen. So nice to make new fiber friends. 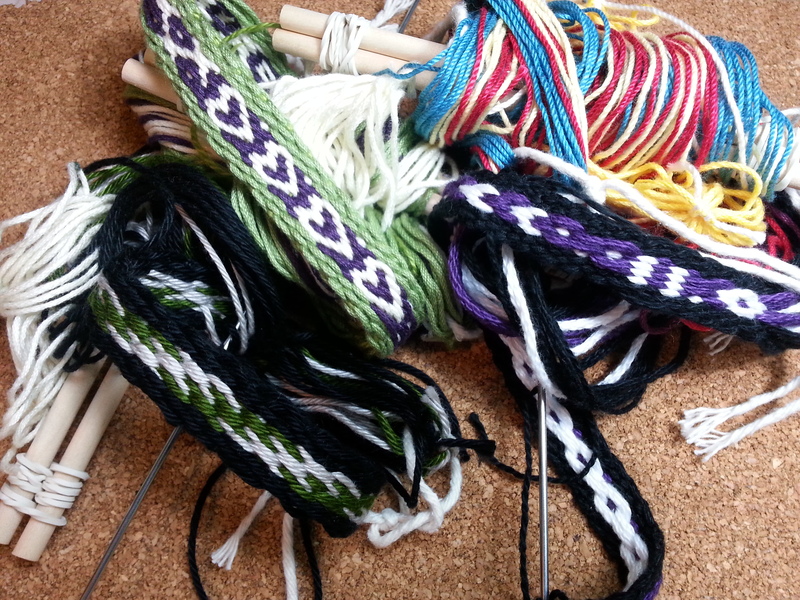 I’m excited to really incorporate what I learned into inkle weaving! If she does your should definitely take her class. It is well worth the time. But, her blog, http://www.backstrapweaving.wordpress.com, is loaded with information! Jennifer I just discovered your wonderful blog via Pinterest. In the photos above, I see that the backstraps are wrapped around the backs if the chairs in preparation for the students. I’m assume Ng that once you are seated in front of the weaving, the backstrap is moved around your body, right? Love your blog! Ooo, I’m so happy you found my blog! Hi! Even though I don’t have the time to weave and write like I’d want, it makes me happy that my blog can still be of interest. The backstraps were set up that way for the conference workshop open house. So, yes you are right, when we arrive weaving, the backstrap is around our backs/hips and the weaving is in front of us stretched out to the table.